We'll handle the development, manufacturing and logistics heavy lifting! EKI knows chemical distribution and shipping. While truck or container loads are never a problem, we will work with you to customize your specific logistics requirements. We know your supply chain is important and work with all of the major transportation options including TL, LTL, Rail, Air and export. We also have many smaller orders of pallet size or less leaving our facility everyday on FedEx and UPS trucks. 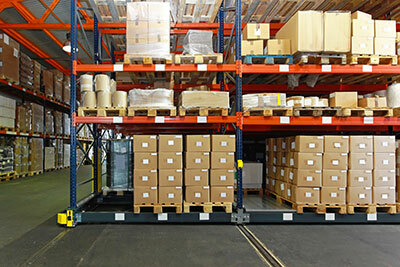 Our DOT trained logistics staff will assist you with all of the necessary requirements, proper labeling and paperwork. Our focus on products associated with the laboratory and chemical products environment helps us stay ahead of this information, know who handles these products properly and can effectively complete your supply chain on a timely basis. Need some products on short notice? Tap into the EKI Ready 100. EKI stocks the top 100 of our highly respected products at all times. If you have a more specific inventory-driven criteria for those products you need, please let us know and we will develop a plan to meet your needs.